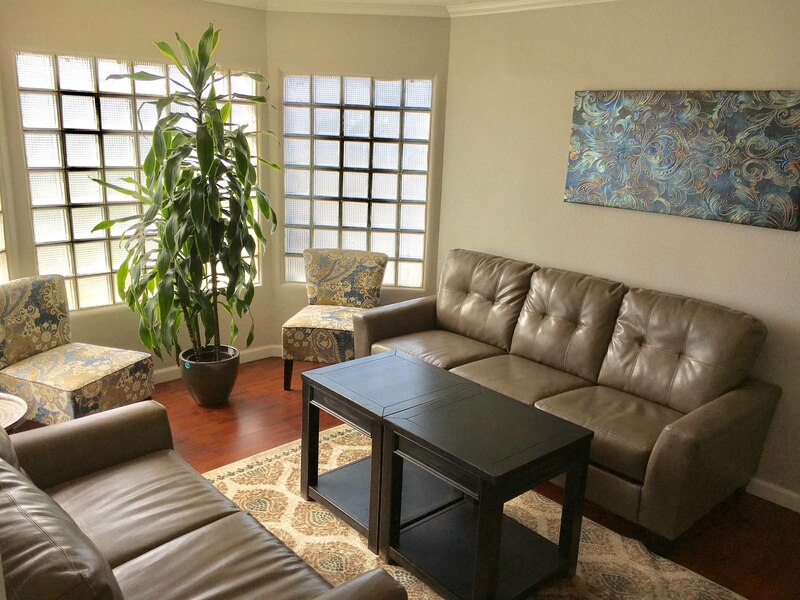 Crestwood has been providing residential mental health recovery services in Bakersfield since 1998. Crestwood’s Freise HOPE (Helping Others through Peer Empowerment) House is a short-term, voluntary, mental health Crisis Residential Treatment Program that welcomes our guests into a warm, homelike environment. Guests are provided with innovative programs that are based on Crestwood’s commitment to providing a continuum of care that puts them on the road to recovery. Freise HOPE House guests participate in Dialectical Behavior Therapy (DBT), a modified cognitive-behavioral treatment that is the only Evidence-Based Practice to prevent suicide. DBT assists guests in learning skills to help them regulate their emotional responses to situations that occur in their lives. Guests create and maintain a Wellness Recovery Action Plan (WRAP). WRAP is a self-help, recovery treatment system designed to decrease symptoms, increase personal responsibility and improve quality of life. Our guests also participate in our Dreamcatchers Empowerment Network program that provides them with pre-vocational job skills training. Our Freise HOPE House supports each guest to recover with an enhanced sense of resilience, accessing a wide-range of wellness tools and staff support. We believe that the principles of wellness and recovery are an ongoing process and guests are active participants in that process. The clinical treatment team is comprised of people with lived experience, who are trained and certified peer providers, with a wide-array of clinical expertise. All of our staff members are committed to honoring the Crestwood recovery model, which is that everyone can heal and recover given the support, services and love that nurtures the spirit, while defining what recovery means to them and developing and honing strategies and skills to live the life that each individual desires. Freise HOPE House, a Crisis Residential Treatment (CRT) Program, provides a voluntary, short-term safe place to land for guests experiencing a psychiatric crisis. Our guests are greeted into a warm, homelike environment and we provide them with a variety of recovery-based tools such as Dialectical Behavior Therapy (DBT), Wellness Recovery Action Plans (WRAP) and Trauma-Informed Approaches to help them to manage their symptoms and develop skills to live effectively in the community. The clinical treatment team is comprised of people with lived experience, who are trained and certified peer providers, with a wide-array of clinical expertise. Our guests are also encouraged to utilize our Dreamcatchers Empowerment Network program that provides pre-vocational job skills training. Crestwood's Freise HOPE House is accredited by the Commission on Accreditation of Rehabilitation Facilities (CARF), which provides international standards for rehabilitation organizations to follow that promotes the quality, value and optimal outcomes of services. Crestwood believes this accreditation demonstrates our unwavering commitment to achieving and maintaining the highest level of care and rehabilitation.